Learn about Chinese ink and watercolour painting traditions, inspired by the exhibition Karen Tam: With wings like clouds hung from the sky. 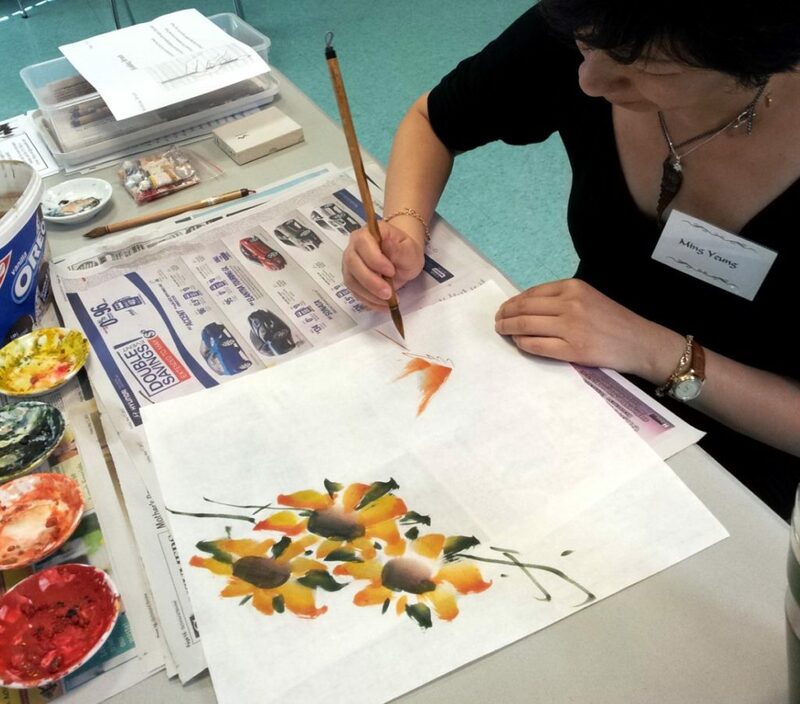 Guest artist Ming Yeung will lead free–style Chinese painting demonstrations in the Gallery, applying two or three layers of watercolour paint in one stroke to develop her images of flora and fauna. Gallery visitors are encouraged to explore this technique to depict different themes on rice paper, or use the help of a stencil to practice paint application. The RAG Youth Collective will lead more ink brush painting activities for participants of all ages to work on developing their painting skills, along with family-friendly exhibition tours, and a story-time related to the exhibition themes. All art materials provided. Free drop-in, no registration is required. Everyone welcome. Children must be accompanied by an adult. Above: Guest artist Ming Yeung leading a painting demonstration. Photo courtesy the artist.